01 Katome T, Namekata K, Guo X, Semba K, Kittaka D, Kawamura K, Kimura A, Harada C, Ichijo H, Mitamura Y, Harada T: Inhibition of ASK1-p38 pathway prevents neural cell death following optic nerve injury. Cell Death Differ (IF=8.371) 20:270-280,2013. 02 Hagiwara A, Mitamura Y, Kumagai K, Baba T, Yamamoto S: Photoreceptor impairment on optical coherence tomographic images in patients with retinitis pigmentosa. Br J Ophthalmol97:237-238,2013. 03 Tatsumi T, Yamamoto S, Uehara J, Sugawara T, Baba T, Inoue M, Hata H, Mitamura　Y: Panretinal photocoagulation with aimultaneous cryoretinopexy or intravitreal bevacizumab for neovascular glaucoma. Graefes Arch Clin Exp Ophthalmol 251:1355-1360,2013. 04 Mitamura Y, Mitamura-Aizawa S, Katome T, Naito T, Hagiwara A, Kumagai K, Yamamoto S: Photoreceptor impairment and restoration on optical coherence tomographic image. J Ophthalmol 2013;2013:518170. 06 Eguchi H, Miyamoto T, Kuwahara T, Mitamura S, Mitamura Y: Infectious conjunctivitis caused by Pseudomonas aeruginosa isolated from a bathroom. BMC Res Notes (IF=1.39) 2013 Jul 1;6:245. Macular choroidal thickness and volume in healthy pediatric individuals measured by swept-source optical coherence tomography. Invest Ophthalmol Vis Sci 54:7068-7074,2013. Swept-source optical coherence tomography identifies connection between vitreous cavity and retrobulbar subarachnoid space in patient with optic disc pit. 01 香留崇、三田村佳典： 「何が見える？何がわかる？OCT」　網膜が厚くなる疾患―黄斑上膜. 臨眼　67:250-255,2013. 02 山中千尋、江川麻理子、林勇樹、坂部和代、三田村佳典： 若年発症サルコイドーシス / Blau症候群の１例. 臨眼　67:563-568,2013. 03 江川麻理子、林勇樹、三田村佳典： Vogt-小柳-原田病の病型と予後の検討. 臨眼　67:981-984,2013. 04 仁木昌徳、香留崇、仙波賢太郎、内藤毅、三田村佳典： 徳島県における過去10年間の開放性眼外傷の検討. 臨眼　67:897-900,2013. 05 井上昌幸、秦裕子、山根伸太、三田村佳典： 上方乳頭低形成症例で確認された後極網膜内層厚の菲薄化. 臨眼　67:1533-1537,2013. 06 樋端透史、香留崇、内藤毅、三田村佳典： 加齢黄斑変性におけるラニビズマブ硝子体内注射の反応不良例の検討. 臨眼　67:1709-1712,2013. 07 林勇樹、四宮加容、内藤毅、三田村佳典： 肥厚性硬膜炎による両眼視神経症の1例. 臨眼　67:1769-1773,2013. 08 木下茂、塩田洋、浅利誠志、石橋康久、稲田紀子、井上智之、井上幸次、宇野敏彦、江口洋、内藤毅、他（日本眼感染症学会感染性角膜炎診療ガイドライン第2版作成委員会）： 【感染性角膜炎診療ガイドライン(第2版)】 日眼会誌　117:467-509,2013. 09 植田喜一、江口洋、山崎勝秀、斉藤文郎： 温度による細菌の増殖性と化学消毒剤の効果 日本コンタクトレンズ学会誌　55:14-22,2013. 10 四宮加容： こどもの疾患と検査　経過とともにみる　内斜視 眼科ケア　15:28-33,2013. 11 四宮加容： こどもの疾患と検査　経過とともにみる　外斜視 眼科ケア　15:34-38,2013. 12 堀田芙美香、江口洋： 図で早わかり　実戦!眼科薬理　眼科臨床薬理各論　外眼部・前眼部疾患 細菌性結膜炎 臨眼　67:46-51,2013. 01 香留崇、三田村佳典： ２. 鑑別を要する病態　漿液性網膜剥離との鑑別. 眼科診療クオリファイ１７　裂孔原性網膜剥離―How to treat　P62-66　中山書店、2013. 02 香留崇、三田村佳典： 第66回日本臨床学会印象記　「網膜硝子体手術：適応と安全性」. 眼科　55:485-486, 2013. 03 香留崇、三田村佳典： ３. 網膜硝子体界面病変　DONFL. 眼科診療クオリファイ１８　眼底OCTのすべて　P83-84　中山書店、2013. 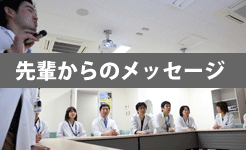 Copyright © Department of Ophthalmology, Tokushima University Graduate School of Medicine,. All Rights Reserved.